​Birmingham is not only famous for its architect, rich history and tourist attractions such as Cadbury World, it is also famous for its classy bars, wild night clubs and traditional pubs. Whatever kind of night you are looking to have, Birmingham is certainly able to cater for all types of people with its wide range of bars, clubs and pubs. Birmingham has so many different types of places to choose from you will be spoilt for choice! Whether you want a vibrant night out or a more sophisticated night out, this blog will be sure to help you decide where is best for you! Broad street is well known for its party scene, it is known as the centre of Birmingham’s nightlife and here you can find the biggest nightclub in Birmingham, PRYZM. Broad street is also famous for its exciting Grosvenor Casino which as it is open 24 hours a day, it offers its services at any time. Broad street is also home to different pubs and bars so whatever you fancy, Broad street is a good place to go. ​If you are looking for a more sophisticated night, The Mailbox is the perfect place to be. With its flash restaurants and great atmosphere, it is one of the most popular places within Birmingham. 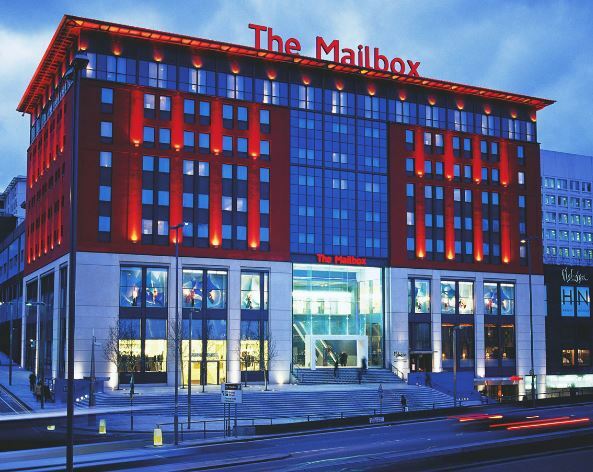 Known for its buzzing nightlife and world renowned restaurants, a night out at The Mailbox will never let you down. ​If live music is what you prefer, the Jewellery Quarter is definitely the best choice. Hidden in Birmingham, the Jewellery Quarter is famous for its amazing jewellery shops and its tranquil surroundings. With bars offering special guests and beautiful pianists, it is a place to get away from the hustle and bustle of Birmingham centre and have a night out in a classier area. ​There are so many places to visit in Birmingham for a night out but these are my top three favourites and it is also the favourites of ‘visit Birmingham’ too. Wherever you decide to go in Birmingham, you will be sure to have a great night as Birmingham has a wide range of places that can be loved by anyone.